Mustad 78122NP-BN Spring Lock Double Frog hooks are a must when fishing soft body toads and frogs. These unique hooks are designed with a screwlock baitkeeper attached to the line-tie perfect for anchoring frog baits in place. 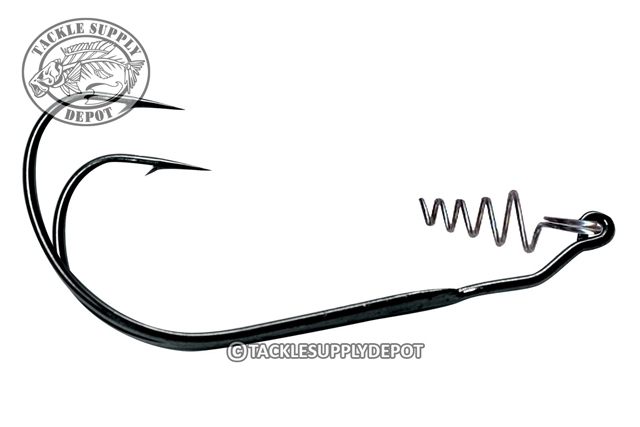 The double EWG hooks not only provide a base for attaching the back of the frogs in place but offer plenty of room for the bodies to collapse and thereby expose the hook points for an increased hook up ratio. Nor-tempered to bolster strength and chemically-sharpened points mean this hook won't quit when dealing with those hawgs hiding in the thickest vegetation.